4-way stretch and breathable material. Protects legs from minor scratches and knocks. A must-have for the gym, baseball games, cycling, field games and more. Cutting-edge technology that offers the right protection you need. 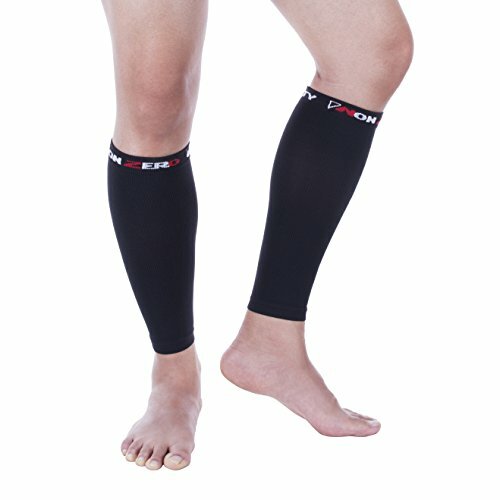 The sleeve incorporates benefits to boost circulation, reduce muscle soreness, ease restless leg syndrome, mitigate shin splints and sooth calf cramps. Fits right or left calf. Multiple sizes to select from. COMPRESSING - Provide gradual pressure & support on the lower leg. BOOST CIRCULATION - Reduce muscle soreness, ease restless leg syndrome & aid in faster recovery. 4-WAY STRETCH - Comfortable material with anti-slip straps for optimal fit & performance. BREATHABLE - Superior contoured fit & durable compression fabric. PROMOTES BLOOD FLOW - Mitigates shin splints & calf cramps & reduces swollen legs. If you have any questions about this product by NonZero Gravity, contact us by completing and submitting the form below. If you are looking for a specif part number, please include it with your message.